On the 28 December 1814 Governor Macquarie organised a meeting with local tribes at Parramatta to discuss the enrollment of children in a newly formed "Asylum for Native Children". 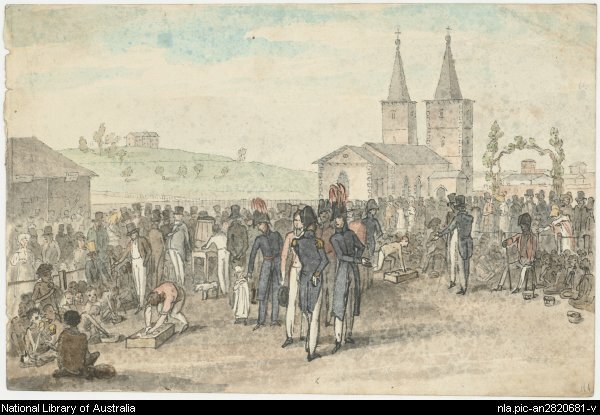 At one o'clock Macquarie and his wife, accompanied by a number of civil and military officers, arrived at the market place adjacent to St John's Cathedral. After talking for an hour to overcome the suspicions of the local aborigines three children were finally yielded up to the project and a meal of roast beef and ale was provided to those in attendance. While unsuccessful in attracting attracting children to the school the event inaugurated a regular meeting of the tribes at Parramatta. The dates however were not always the same for example on 28 March 1820 Governor Macquarie celebrated his son’s sixth birthday by inviting sixty Aboriginal men and women to breakfast and dinner. This occurred over the next two years and ended in 1822 with Macquarie’s retirement and departure. A feast was given and tobacco smoked with guests which included forty-two Aboriginals. Macquarie also unsuccessfully attempted to create an Aboriginal settlement called “Elizabeth Town” as well as hosting the feasts. 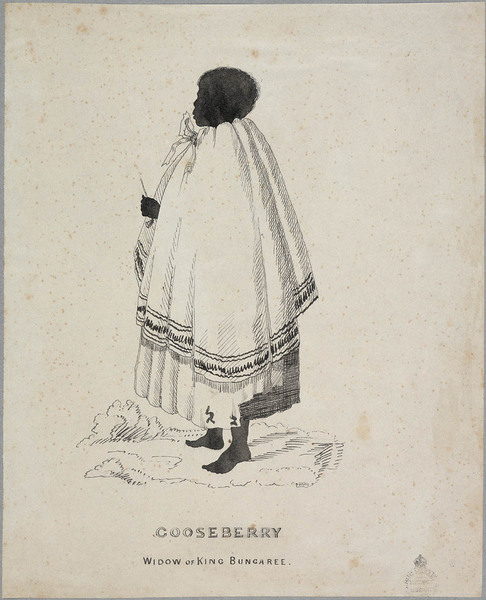 From 1822 until 1830 there was an annual meeting held in the Parramatta marketplace attended by the Governor of the time, his family, and Aboriginal Tribes from various areas. These included Parramatta, Concord, Kissing Point, Prospect, Eastern Creek and as far away as Jervis Bay and Shoalhaven. Successive governors continued the tradition inviting the leaders of various Aboriginal tribes including: Boongaree, Windradyne, Bungaree, Blang, Dual, Cogle. These feasts were held 28 December or early January and members of the tribes were given soup, roasted beef, vegetables, bread, and plum pudding, alcohol and sweets. The men of the tribes were then given a plentiful supply of tobacco and the women European dresses. In 1832 the setting was given a more formal touch with white tablecloths and each attendee receiving a tin plate, knife, fork and a goblet. It was Major General Bourke who eventually decided that clothes would be a better gift at these events especially if they were received during the winter and as a result he rescheduled the timing of the event to May.